The history of film is full of advances that have changed the seventh art ever since, both in the way it is produced and in the way in which the public has enjoyed it. From the first Lumière brothers projections to modern computer-generated graphic films, the industry has not stopped innovating to make better films. 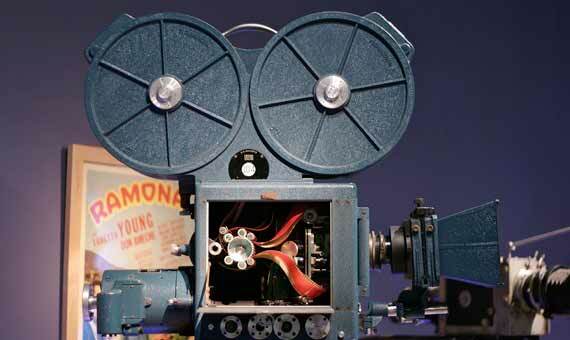 These have been some of the advances in technology that have revolutionized the history of film. The beginning of the seventh art cannot be understood without the contribution of the Lumière brothers. These pioneers, inventors of the cinematograph, recreated the illusion of movement. Their goal was no other than deceiving our eyes. According to the journalist Yolima Andrea Díaz, the film and its advances in technology date back to representations such as the mid-sixteenth century “camera obscura”, the seventeenth century “magic lantern” or Étienne-Jules Marey’s portable chronophotography. But the industry went far beyond those basic techniques that projected images in dark rooms, showed still transparent pictures or moved bands that displayed twelve images per second. The Lumière brothers’ cinematograph was unveiled at a scientific conference held in March 1895, although its official presentation was on December 28 of that same year at the Grand Café Boulevard des Capucines in Paris. In this French corner, and as a surprise to the audience, they projected the arrival of a train at the Ciotat station. The seventh art was officially born. As explained in the National Media Museum, the Lumière brothers were soon aware of the business opportunity they stood upon. As a result, they developed 450 portable cinematographers. 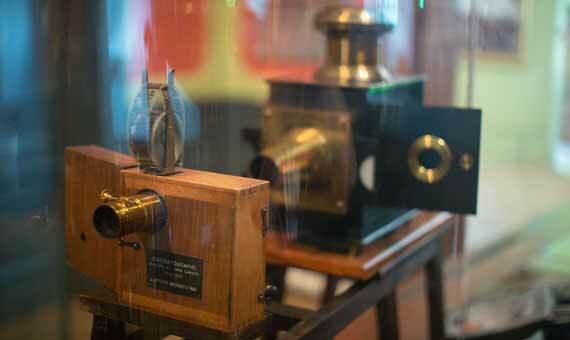 The Lumière brothers began the history of film with the invention of the cinematograph. But the illusion of movement – centrepiece of the seventh art – also owes much to another French filmmaker. Since Georges Méliès “crashed” a rocket on the surface of the Moon in 1902 nothing will ever be the same again. The French director used the techniques of superimposition of images, fading, double exposures and scale models. Thus he managed to produce the film A Trip to the Moon (Le Voyage dans la Lune) despite the technical precariousness of the early twentieth century. 67 years before the Apollo 11 mission set foot on the satellite for the first time, Méliès could “portray” the landing of a ship in the eye of the Moon, a famous image that characterizes the first major science fiction film. Thanks to the discovery of Daniel Comstock and Burton Wescott, the Technicolor Corporation company succeeded in turning black and white films into colour. This discovery, based on the Kinemacolor system, recorded images in two colours (red and teal) using only one lens. How did it work? A light and colour filters beam splitter facilitated the process, however, it ended up having many difficulties for the projection in theatres. And so was demonstrated with the premiere of The Gulf Between, in 1917. The projectionist – due to the novelty of the process – was not able to adjust the machine properly and correctly register the two colors on the screen, affecting to the proper display of the film. The arrival of two subsequent systems (called Process 2 or “two strip” system and Process 3) would improve the production of colour films. But it was the development of the three–color camera (Technicolor three–strip) which would revolutionize the industry technically. According to what David Bordwell, Janet Staiger, and Kristin Thompson wrote in The Classical Hollywood Cinema: Film Style and Mode of Production to 1960, this invention was attributed to Comstock, Troland and Ball (graduates and students of MIT), while its development was thanks to Kalmus. A development that made colour films experience an ‘unstoppable growth’ from 1935 on. The incorporation of coloured frames was not the only technical revolution experienced by the cinema between the twenties and thirties. In 1927, Alan Crosland premiered his black and white film The Jazz Singer. A work which was not yet benefited from the advantages of Technicolor, but in which an essential aspect for another of our senses was changed. We changed from the silent film characterized by Charles Chaplin to one in which sounds accompanied the images projected. The technical breakthrough that made ​​it possible was the Vitaphone.This system, sponsored by Warner Bros and First National studios, allowed recording soundtracks and spoken texts on disks that were then reproduced at the same time as the film. Despite its precariousness, this device completely changed the industry but was soon replaced by the Movietone, invented by Lee de Forest and marketed by Fox from 1927 on with the production of Sunrise: A Song of Two Humans. 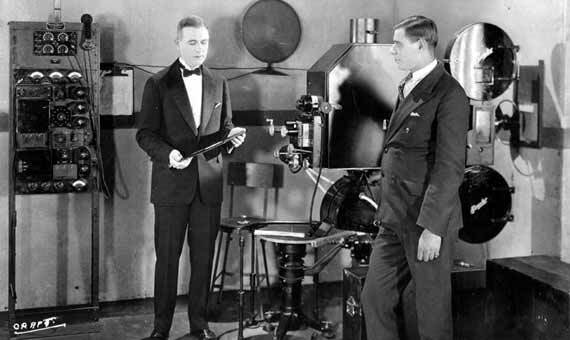 This second system allowed to record audio directly onto the film, an achievement that proved to be a success until 1939 when, again, innovation changed the industry one more time with another system implemented by Edward C. Wente. Two decades after these technological revolutions, film came face to face with what would remain its biggest competitor until the arrival of the Internet: Television. To counteract its popularity, Fox developed a new imaging system known as Cinemascope. This method takes large images by compressing a normal size one within the standard 35 mm frame. The aim is to achieve a ratio between 2.66 and 2.39 times wider than high, thanks to the use of special anamorphic lenses, which were placed in the cameras and screening machines. The introduction of the Cinemascope also inaugurated a new era in film, thereafter characterized by the use of panoramic formats, with similar systems to VistaVision, Todd-AO, Panavision, SuperScope and Technirama. If something has been highlighted in the recent film innovation it has been, without a doubt, the works of animation. And Disney has played a key role in these advances. With the release of Steamboat Willie in 1927, Walt Disney began the golden age of animated films, with Mickey Mouse as the big star, becoming the flagship of the multinational until today. The genius of animation introduced a technique that would be emulated by many other producers of his time. The method, known as sound cartoon, allowed to synchronize cartoons and sounds, as perfectly shown in the scene of the smoke coming out of the boat that a primitive Mickey Mouse sailed. He was the first to give importance to animation as a potential for the filmmaking sector and, as such, he wanted to go much further in the techniques employed. The multiplane camera developed by Ub Iwerks and also introduced by Disney, allowed to provide traditional animation with – at least at the time – innovative three–dimensional effects. This type of video camera used in Snow White, the first feature film of the firm, allowed scenes to be more realistic by achieving depth in animation for the first time in history. But if something has highlighted Disney, and later Pixar, it is in the application of computer graphics. The first work in which the company used computing was the famous Beauty and the Beast. Among the examples of technical innovation that takes place at Disney Research – the research centres located in the United States and Switzerland – the smoke effect, the reconstruction of hair and facial hair or facial geometry modelling are to be highlighted. Pixar was also a symbol of animated filming since its very beginning with premieres such as Toy Story, Monsters Inc. and Cars. Its creations and innovations were based on the advances made ​​in Westworld, a science fiction story famous for having used the first computer-generated graphics. The momentum that Steve Jobs (co-founder of the animation company) gave to the film industry was so great that, eventually, Disney ended up acquiring Pixar in 2006 for 7,400 million dollars. 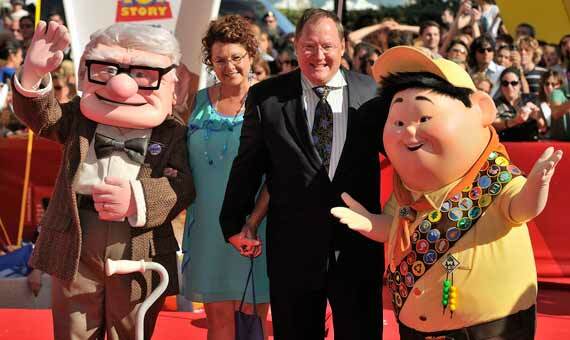 John Lasseter with the characters of Up. Source: Nicolas Genin (Wikimedia). The two companies joined forces, a collaboration that had begun in the development and implementation of the CAPS system (Computer Animation Production System).This breakthrough, known as 2D digital software, allowed to digitally colour hand-drawn animations. CAPS was a key to the realization of Toy Story, the film directed by John Lasseter which received an Academy Award in 1995. We could not finish without mentioning the use of chroma, and 5even if it exists since 1930, it has been in the digital age when this technique has reached its greatest potential. There is no doubt film is a way to create what does not exist, in other words, to fool our brain by getting difficult to shoot scenes or landscapes even our imagination cannot create. In that sense, the chroma can capture a background and a character or object separately, and then use 3D animation, image digitalization and computer generated graphics; three technical advances that have helped produce amazing films such as The Matrix, The Lord of the Rings, 300 or Avatar. In this latest film, the director James Cameron also used the so-called performance capture, so that the “blue” characters kept the essence of the actors’ and actresses’ interpretation. What for? According to James Cameron himself, “the idea is that, ultimately, the public cannot tell whether what they have seen is real or not”. A phrase that also sums up the purpose of applying technical advances to the film industry. And so innovation in this industry does not stop. Besides the work of companies like Pixar and Disney, a new era of film which seems to relate to facial recognition is now being born. Faceshift, recently acquired by Apple, is also introducing a number of technical advances in this field and these have already been used in films such as the Star Wars saga. Improvements show that the industry has the RDI formula in its DNA, which offers new possibilities for future releases.